THE READERS RAG: HIDDEN TREASURE ON THE BOOKSHELVES: RENA OLSEN'S "THE GIRL BEFORE"! 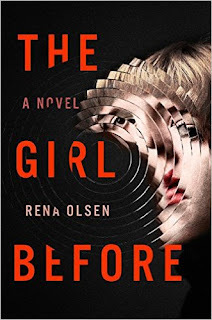 HIDDEN TREASURE ON THE BOOKSHELVES: RENA OLSEN'S "THE GIRL BEFORE"! Clara Lawson is sitting in her kitchen combing her daughter's hair when a swat team bursts through the doors, puts her beloved husband, Glen, in handcuffs and leads her away to a police car. The last words her husband says to her is, "Say nothing." Later, during police interrogations, the officers insist upon calling her "Diana." What is going on and who is this Diana they keep referring to? That is the mystery behind the tautly paced book "The Girl Before" written by Rena Olsen, a writer based in Des Moines, Iowa. It is a book that presents itself as a cross between a narrative from the Yearning For Zion ranch and a Spencer detective tale. Unfortunately, there isn't much more information about Rena Olsen because this appears to be her debut novel and there is really very little about her on the internet or on YouTube as yet. Here is hoping that as Ms. Olsen continues to develop as a writer that we will have more of an opportunity to learn more about her. Anyway, how did I discover this gem of a novel? The old fashioned way! I was just taking a break from my work and decided to wander around the bookstore a little. As I was browsing around the shelves, I ran into the book and found myself intrigued by the blurb on the back cover. Once I started to read, I didn't leave the store until I was finished with the book. Luckily, it was a weekend! Still, I did get a few of my friends at the store dropping by my table asking me if I was all right. "You haven't moved in hours!" they said. That's what happens when you find a truly great read that is so mesmerizing you don't want to stop turning the pages. The structure of the novel plays an important role in the appeal of this book. The only word I can come up for as a means to describe it is precision. It moves from the present to the past, bouncing backward and forward, going further and further into the past until the reader has all of his or her questions answered and the many unknowns of the book become knowns. I am also impressed by the beautifully written, intense, economical and insightful descriptions of the people and the scenes in this book. These features create a strong sense of place as well as highly memorable characters. My primary struggle with this book was how I could come to grips with the main narrator of the book, Clara Lawson. Is she complicit in the circumstances that surround her, or is she an innocent victim, or is it a bit of both. To what extent does fearing for your safety exonerate you when you find yourself a part of a morally repugnant enterprise? These are very complex issues that keep you engaged as the narrative unfolds slowly and relentlessly. With that I will leave you to the book. I did want to make a few more remarks. For instance, I have no idea why this book appears to have never been published in hardback. Not sure how that happened. Perhaps I'm missing something. The book was published by G.P. Putnam's Sons which is an imprint of Penguin Random House. 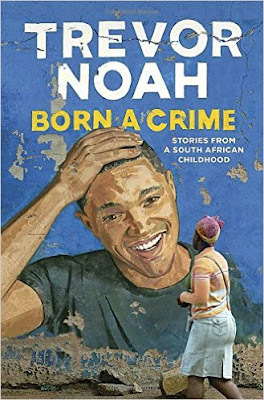 I did find the cover design of this book quite intriguing as it featured the fragmented picture of a face, disjointed by a series of concentric circles that evoke, but isn't quite, the lens of a camera. All the different parts of the face, out of which we establish a picture of how the main character looks, and who she is, suits the theme of the book beautifully. I am not so thrilled by the large print title which I consider on the clichéd side at this point; so many current books have this print. But the vibrant black shade of the book cover in contrast with the orange/red letters is considerably striking. Who am I to criticize since I clearly picked the book up and checked it out based upon the look of it. We can hold the cover designer responsible for this, i.e. Jaya Miceli and also thanks go to the person who created the cover image, i.e. Igor Ustynskyy. I also--yes, that's the way I am, full of details--investigated the agent who discovered this manuscript. She deserves to be commended simply for recognizing Rena Olsen's amazing talent! Sharon Pelletier works at the literary agency Dystel, Goderich & Bourret and has done so since 2013. The blurb on her at the agency website states that, "she is interested in smart commercial fiction, from upmarket women's fiction to domestic suspense to literary thrillers." Indeed! She certainly got all of that in Rena Olsen's novel "The Girl Before."